Mini Lesson: All Dollars are NOT created equal! How to think of a rental property as a money machine with three main parts: income, expenses and financing. 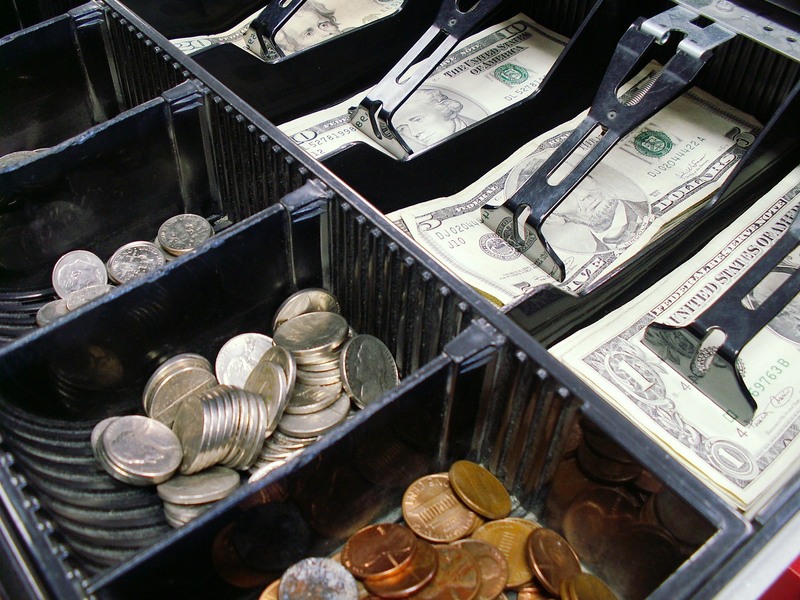 The machine produces four potential financial benefits: cash flow, principal reduction, tax savings and appreciation. Valuing a rental property is different than valuing an owner occupied property. One method some investors use is the Gross Rent Multiplier Formula. Sometimes called the "1% Rule." Capitalization rate is one of the most popular methods of valuing rental property. But it has shortcomings that you must consider before buying or selling. 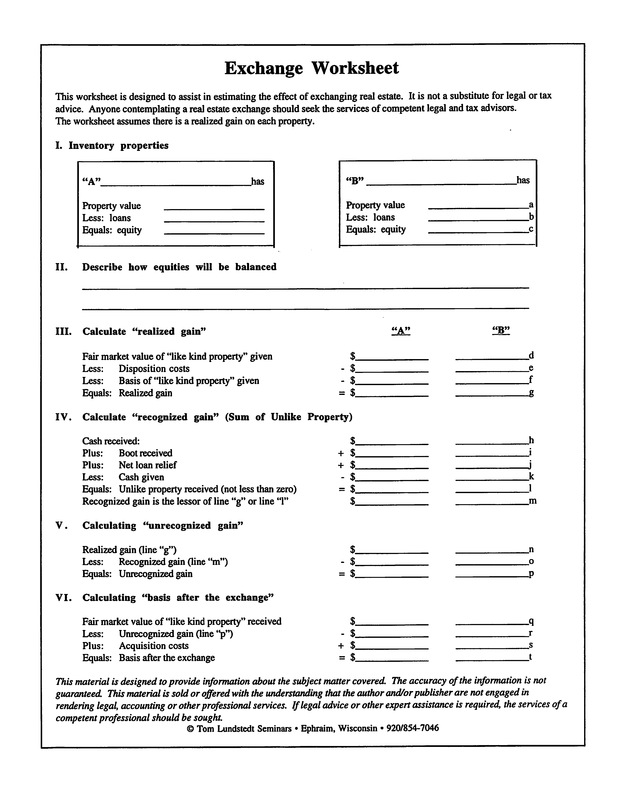 Use a one-page worksheet to calculate the financial benefits of a rental property. Cash flow, principal reduction, tax savings, appreciation. Double Your Tax Savings by Becoming a Lean, Mean Bifurcating Machine! Think of your rental property as a money machine that produces four financial benefits: Cash Flow, Principal Reduction, Tax Savings and Appreciation. The lake is a good analogy for the real estate business. The bunched-up boats represent the majority of real estate salespeople, striving in a crowded marketplace, competing for the same goal: residential sales.Meanwhile, on the other side of the lake, the smaller number of boats have open space and fewer competitors. They represent real estate salespeople who confidently work with investors. Do Not Invest in Real Estate Until You Do This First! 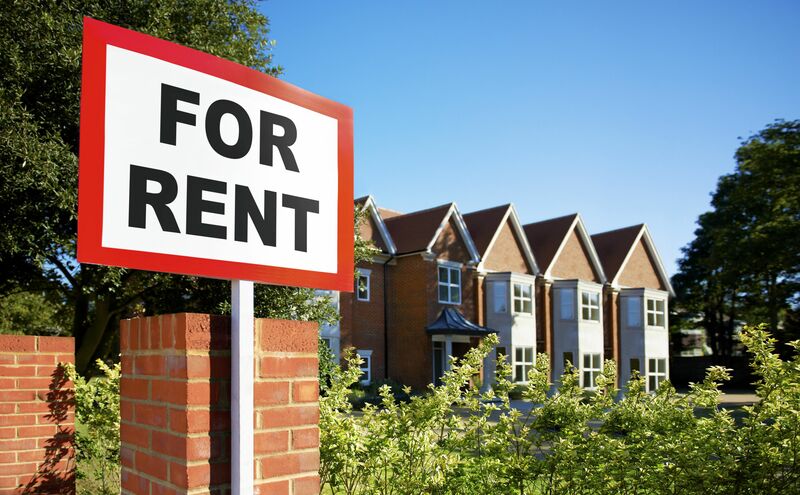 Wise investors know that a rental property is a business. They will not buy until they have done their due diligence and analyzed the business from all sides, including the financial side. 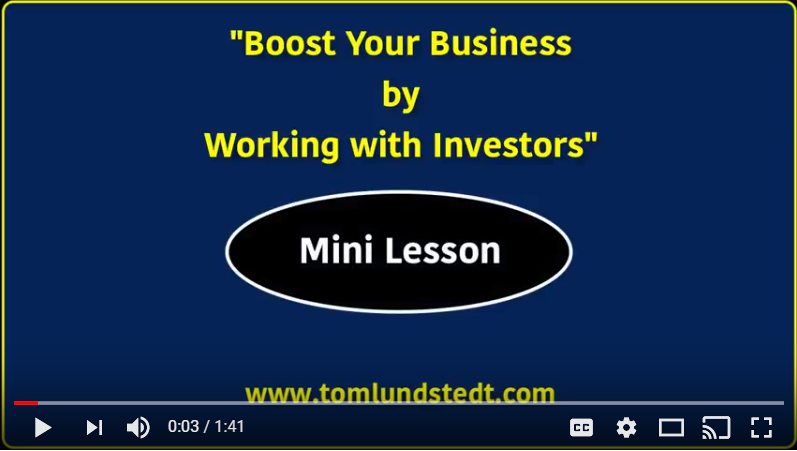 Tom Lundstedt is known as the funniest investment and tax guy in America! His programs for residential and investment real estate have entertained and enlightened more than 2,500 audiences from sea to shining sea. He's a former Major League Baseball player whose striking combination of humor and real world examples makes powerful subjects spring to life. Visit Tom on the web today at tomlundstedt.com or call him at 920/854-7046. This article is designed to provide helpful information about the subject matter covered. It is provided with the understanding that neither the publisher nor the author is engaged in rendering legal, accounting or other professional services. If legal advice or other expert assistance is required, the services of a competent professional should be sought.